Gulfview Heights, the beauty is in the name! This community in Santa Rosa Beach provides Gulf views with beach access. 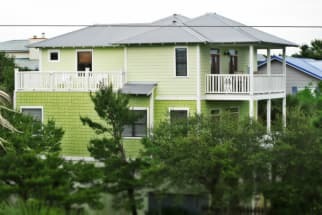 Our Gulfview Heights properties are equipped with the normal Emerald Coast by Owner elegance and luxury. When you stay here, all of the amenities, appliances, and neccesities you could need while on vacation are included! There is several nearby activities such as the bike path, shops and restaurants at Gulfplace. Some of the local favorite restaurants include the Preacher’s Kitchen, La Playa and Pizza by the Sea. Spend your days relaxing on the white sandy beaches over looking the emerald green waters or add some adventure by scuba diving, parasailing or paddle boarding. Stop by 30A fishing charters for an action packed afternoon deep sea fishing. Gulfview Heights is a fantastic destination for a family vacation. Emerald Coast By Owner wants to put you in direct contact with the property owners in Gulfview Heights. Booking direct with the owner will assure you the best price for your vacation rental. ECBYO does not charge you any service fees when you book with us, so book online today and save! We hope you enjoy your stay in Gulfview Heights!